Just what have I been up to all month??? Lots of starts.....very few finishes...none actually. My computer died yesterday so luckily I have my handy dandy ipad....who knows when the new computer will actually arrive. Posting is a little more tedious this way but here goes. If it all comes across a little wonky...in my defense, I spent the day babysitting my sweet, little, 14 month-old granddaughter and her brand new puppy. I could show you numerous works in progress because starting is what I do best, but I'll just show you one, because for me, putting together a mosaic on the ipad is not quite the same as my regular computer.....in other words I don't know how. 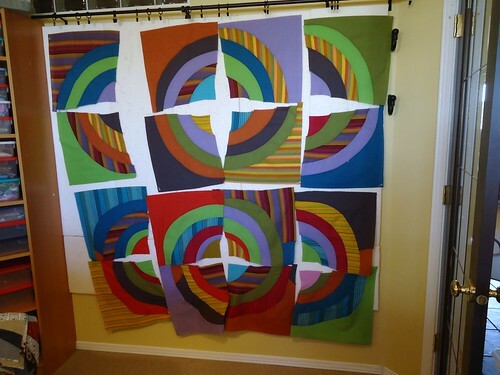 Broken Circles 2011, originally uploaded by MariQuilts. I've been working on these large freehand type circles. I'm using mostly shot cottons and striped wovens by Kaffe Fassett. So Cool! I love the movement it creates. Looking forward to seeing your finishes! These blocks are wonderful. This is a beautiful quilt. 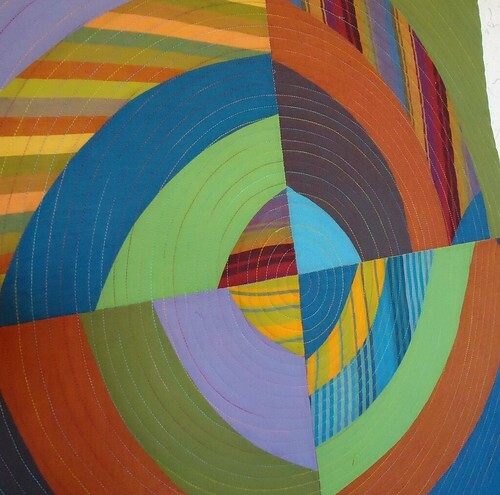 It looks so great with the big circle quilting pattern. Did you do that on a long-arm? 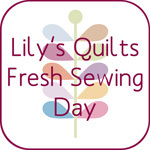 No way could I do that on my sewing machine! Love the finished quilted block and the way it all comes together. good lord! those quarter circles are magical. i want to reach in and touch them. they also kind of feel like Alice could fall in to reach another world. 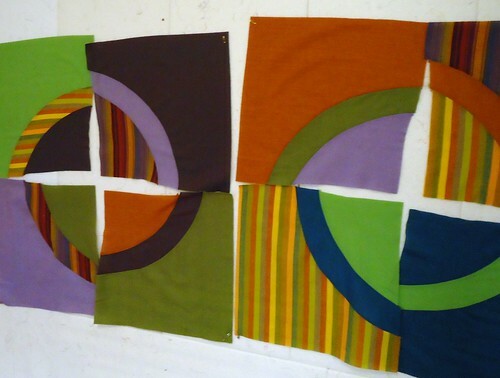 These are very interesting and wonderful blocks, and the quilting is perfect! Very cool! Love the quilting on this. Enjoy the granddaughter and grandpuppy. I love those circles. Just makes my world go 'round! Thanks Mary....Puppy and granddaughter are both adorable. Really beautiful. And I completely identify with "starting is what I do best"!